We consider satisfaction our customers as our top priority by producing quality, safe and sustainable solutions. In line with this awareness, we work in compliance to international standards and aim to be the preferred brand by minimizing product risks. At the same time, we respond to challenges of developing global competitive dynamics by keeping our product and service quality at a high level, by controlling our costs and by obtaining the registration certifications of the markets we sell. We internalize the quality awareness as a company, prevent the repetition of complaints by critical objective evaluation of the feedback received from the customers. We inform health personnel about our products through frequent visits and planned trainings, and show them the appropriate intructions of use. By providing trainings for the health and professional development of our employees, we ensure their competence and awareness. To make our products more indispensable, we aim to carry out R & D activities and produce suitable solutions to customers' demands. 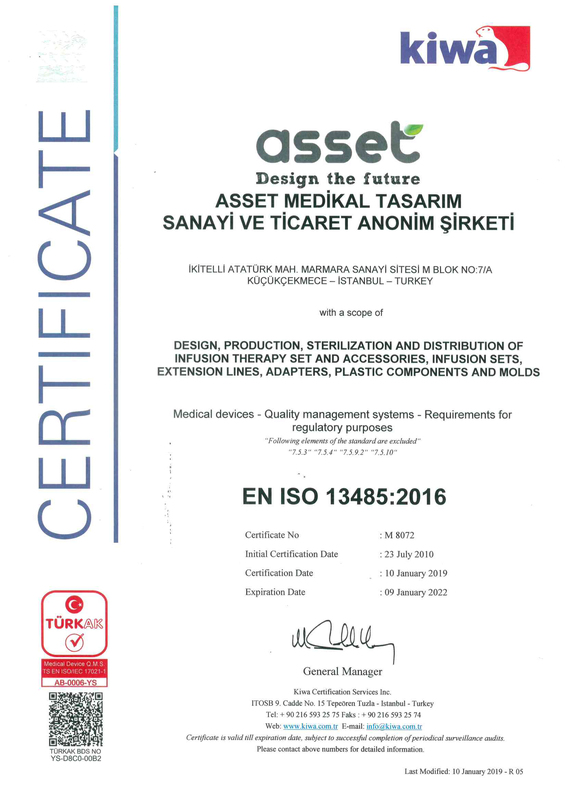 We fully comply with international standards by adaptation of the way we operate and conduct our processes. We aim to make the work we do correctly and to verify and standardize the processes to avoid mistakes and deviations. We strive to create a culture that brings quality understanding to all of our employees through training activities and combines personal goals around common corporate objectives. We transfer our quality policy to all of our stakeholders and carry it beyond our own structure and inspect the compliance of our outsourced services with our quality understanding. We continuously review our quality targets and processes and provide resources for improvement activities and keep them up-to-date against changing sector requirements.